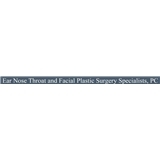 Ear Nose Throat & Facial Plastic Surgery (Willow Grove) - Book Appointment Online! Dr. Joshua Goldberg is board certified in otorhinolaryngology, head and neck surgery/robotic surgery and facial plastic surgery. Clinical assistant professor of Otorhinolaryngology. He attended medical school at Philadelphia College of Osteopathic Medicine. Dr. Goldberg completed his residency training at Consortium of Hospitals of Philadelphia College Osteopathic Medicine (Medical College of Pennsylvania, St. Christopher’s Hospital for Children, and the Albert Einstein Medical Center). Dr. Goldberg is a Fellow of the American Osteopathic College of Otolaryngology and Head & Neck Surgery and a Fellow of the American Osteopathic College of Surgeons. He has also published numerous articles and posters for various academy journals and meetings. He continues his education by frequently teaching and lecturing to medical students, residents and physicians. Exceptional practice and staff. Would highly recommend this doctor and practice to everyone!